Excavations at an ancient Egyptian shipyard have unearthed remains of the world’s oldest seafaring ships. The 4,000-year-old timbers were found alongside equally ancient cargo boxes, anchors, coils of rope and other naval materials just as old, at what archaeologists are calling a kind of ancient military administration site. The massive complex, made up of six man-made caves, is located at Wadi Gawasis, a small desert bluff on the Red Sea near the modern city of Port Safaga. According to Cheryl Ward, Florida State University archaeologist and part of the excavation team, the age of the finds is remarkable. “Older water crafts, like dug-out canoes, have been found throughout the world, but these are the oldest sea-going ships. 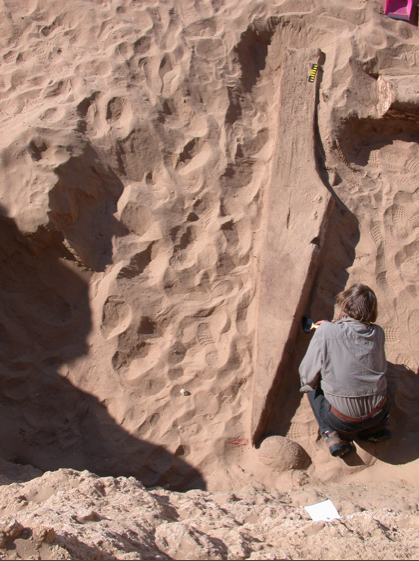 More significantly, the next oldest [ships ever discovered] in Egypt are 700 years younger,” Ward told LiveScience. Just as crucial, however, is what the find says about ancient Egypt’s naval capacity. According to Ward, it was widely thought that while ancient Egyptians often traveled along the Nile in smaller river boats, they did not have the technological ability to voyage long distances. Evidence at Wadi Gawasis seems to suggest that they were, in fact, prolific sea-goers like later civilizations in Greece and Rome. Specifically, hieroglyphs inscribed on some of the cargo boxes indicate that many came from a single origin: the almost mythical city of Punt, whose exact location is still unknown but is thought to lie nearly 1,000 miles away in the southern reaches of the Red Sea. 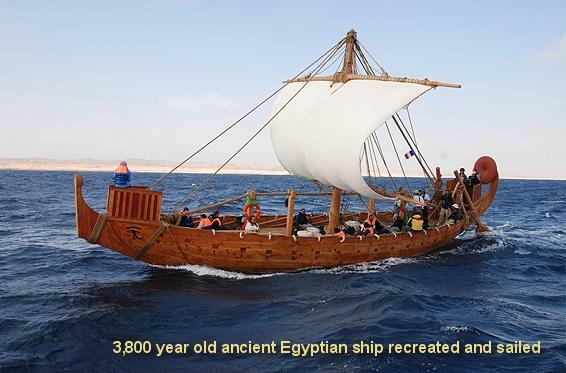 “Egyptians obviously went to sea frequently during this time, despite the fact that it was a huge undertaking. It required several thousand people trekking supplies across the desert,” Ward said. Before setting out to sea, Egyptians needed to transfer shipping materials, tools, and goods from the main cities along the Nile to the shore, where they were assembled. The caves, measuring 60 to 70 feet on average, were likely created specifically for the task, Ward theorizes. Timber remains at Wadi Gawasis demonstrate that when ships returned from several months at sea, they were disassembled in the caves and parts inspected for wear and tear. Those pieces that were too badly worn by the burrowing of shipworms were discarded, while those in better shape were kept for later voyages. The mere presence of shipworm damage, accrued usually during voyages of at least several months, suggests that ancient Egyptians actually spent a lot of time at sea. CHERYL WARD, a maritime archaeologist recreated an Egyptian ship of these old times, around 3,800 years ago, using traditional materials and local craftsmen. They succeeded in launching her and navigating down the Red Sea for a considerable way, and a remarkable journey. (Full story here). 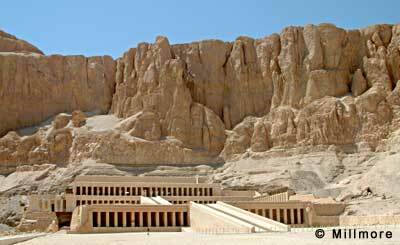 HATSHEPSUT – the queen who became pharaoh. 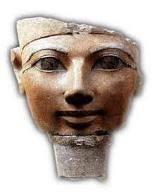 Hatshepsut was a female pharaoh of Egypt for 22 years from 1472 B.C. She died in 1457 B.C. (18th Dynast, New Kingdom). She was the wife and consort of Thutmose II (her brother) and had one daughter, Neferare. Her parents were Thutmose I and Queen Ahmose. She was succeeded by her step-son/nephew, Thutmose III. The identity of a 3,500-old mummy, an elderly female, from tomb KV60 in the Valley of the Kings, was made with advances in science; a CT scan of a single tooth in a box with Hatshepsut’s name on it perfectly matched a tooth socket in the mummy’s jaw. Royal lineage has been also supported by DNA analysis of some yet unnamed fragment of the mummy and a longer dead female royal relative. Hatshepsut was a well-built 50-year-old lady and may have had diabetes and thinning but long hair. This Queen of Egypt also wore black and red nail polish. But Hatshepsut was a powerful and successful woman. She married one of her half brothers, Thutmose II, and helped rule Egypt as his ‘Great Royal Wife’. When her husband died, Hatshepsut was named regent for her step-son, who was still a young child. She took the throne herself after a message from the gods sanctioned her right to rule, and decided to wear the complete regalia of a male pharaoh, including a false beard, possibly to gain respect from the powerful priesthood. Hatshepsut ruled for 22 years, longer than any female ruler before or after her, and left behind a remarkable record of buildings and sculptures, including her mortuary tomb Djeser-Djeseru, a marvel of architecture. During her reign she took on a challenge and commissioned the building of sea-faring boat which sailed down the Red Sea to the port of Punt, a wealthy trading city, which has been left to legend as its actual location has been lost to our knowledge. 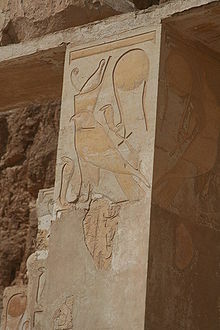 But like many women of power, Hatshepsut was also surrounded in controversy. Her successor and stepson, Thutmose III, tried to erase her image from the Egyptian mind by chiseling her name and symbol off everything. And then he moved her from her impressive tomb at Deir el-Bahri (Valley of the Kings) to an obscure tomb with a mummified nurse for company. Her ‘mummy’ now lies in the Cairo Museum. 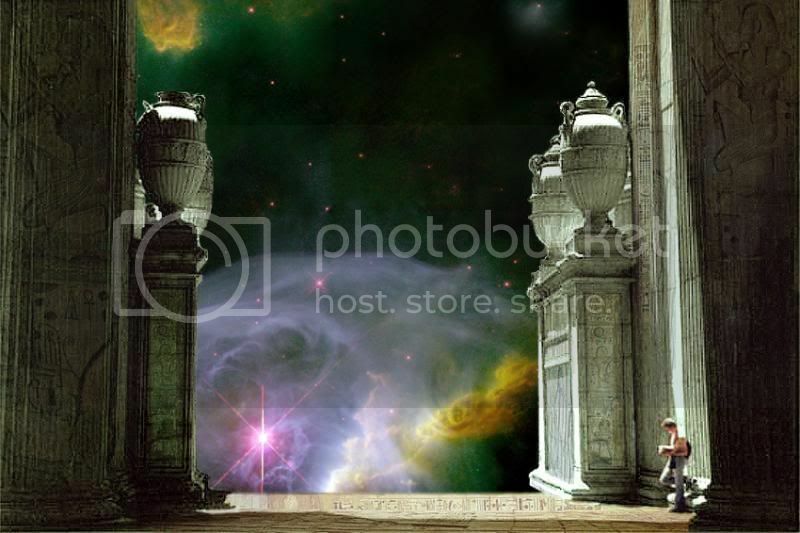 This entry was posted in Uncategorized and tagged Cheryl Ward, Deir el-Bahri, Egypt, Hatshepsut, Port Safaga, Punt, Red Sea, Thutmose, Valley of the Kings, Wafi Gawasis. Bookmark the permalink. Do you know who the ancient Egyptian ship-builders were? Were they in the lowest class with those who built tombs? Or were they craftsmen who also built carts? Hi Wendy – thanks for stopping by – love your site btw – the ship builders were definitly master-craftsmen, working all the timbers by hand and eye. Double thanks, Avia! I’m glad you like my website–and I appreciate your answer. I’m helping my 12-year-old son Jonah research a paper he is writing on shipbuilding in Ancient Egypt. I was so happy to find your site. One of his teacher’s questions asks about training. Do you know how and by whom these master-craftsmen were trained? This is not answered in any of the books Jonah got from the library and we haven’t been able to find it online. Everything he has found so far seems to be pretty standard–and the same in every book, glossing over areas that we’d like to know the details on. Thanks! And Jonah and I love your blog. The Phoenicians were great sea-farers and even the Chinese left evidence of having sailed to America hundreds of years BC. It is now known that Cleopatra’s daughter married a Moroccan king who sailed to America and up the Mississppi about 200BC. (Illinoiscaves.com) From reed boats, duggout canoes and small corracles, boats have always been used by islanders and river people but the classic wooden ship-builders seem to have started in the Mediterranean. The Egyptian had their barges to take the dead to the afterlife, one of which is in a covered museum beside the Great Pyramid (it’s in the video below) As Egypt IS the Nile, it is obvious that they were boat people. Punt was modern day Somalia, at the head of the Blue Nile. They couldn’t sail towards the source of the Nile (Upper Egypt is the southern part) because it went uphill over great cataracts, so they had to go by sea. I’m so happy I found you! Thanks for the great info! You’ve inspired Jonah to include some of the new, more up-to-date material and to mention in his report that new discoveries are always being made about ship-building and other topics on Ancient Egypt, which actually makes some of the library books and websites wrong. Jonah is now more excited about his project than he was–which is a GOOD thing. Happy holidays to you!